Summer is the time with the fewest donations, so the food bank says they appreciate any help people are willing to give. SAN ANTONIO — The University of Texas-San Antonio hopes to make a difference in the community while forgiving some students and staff who get parking tickets. "This is something that helps them out, but also makes them feel good about helping someone else," UTSA Marketing Coordinator Caitlin Jaworowski said. 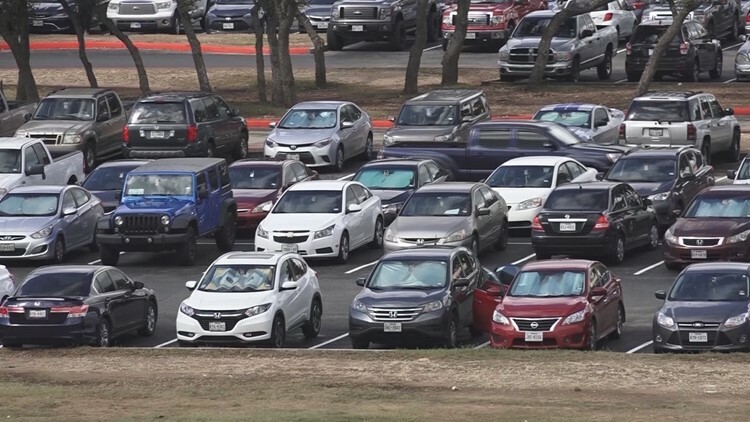 UTSA will be forgiving some parking citations - within a certain time window - by letting ticket recipients pitch in 40 or 80 ounces of peanut butter instead of paying their $50 or $100 fine. Donations will go to the San Antonio Food Bank. "It is one of the most asked for food items, it's got a long shelf life, most people like peanut butter and it's nutritious," Jaworowski said. It also puts people who receive parking infractions face-to-face with school staff, who will help them learn the right ways to park on campus. "We're gonna let you pay off the citation with peanut butter, but we also want to let you know this is how parking works, this is how your permit works," Jaworowski said. Summer is the sparsest time for donations, so the food bank says they appreciate any help people are willing to give.